The Polaroid Snap Touch Instant Print Digital Camera With LCD Display is a charming throwback camera with a modern twist. 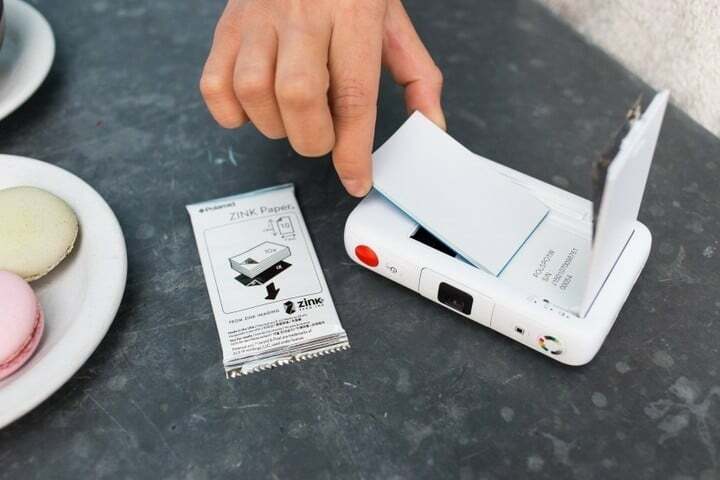 The camera has a built-in printer, so you can print your photos immediately or once you’ve edited them. 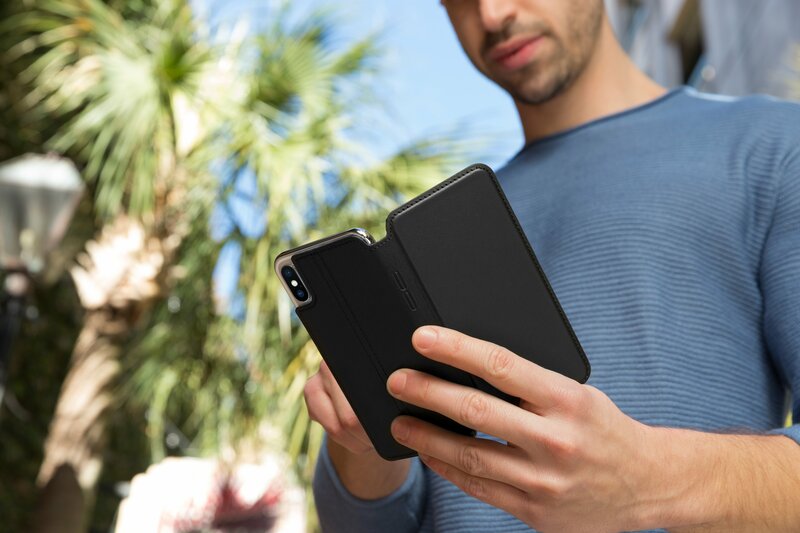 Since it’s connected to your iPhone via Bluetooth, you can also print photos taken with your iPhone. I’m old enough to remember the Polaroid cameras of the 1980s. You’d take a photo, and the camera would immediately spit out your print, albeit not quite developed. You’d shake it for a minute or two, and the photo would magically appear. It was a lot of fun, especially before digital cameras, when you’d typically have to wait weeks or months to see a photo you’d taken. You had to finish a roll of film, and then take it or mail it someplace to be developed. Polaroid photos were the only immediate photographic gratification we had. 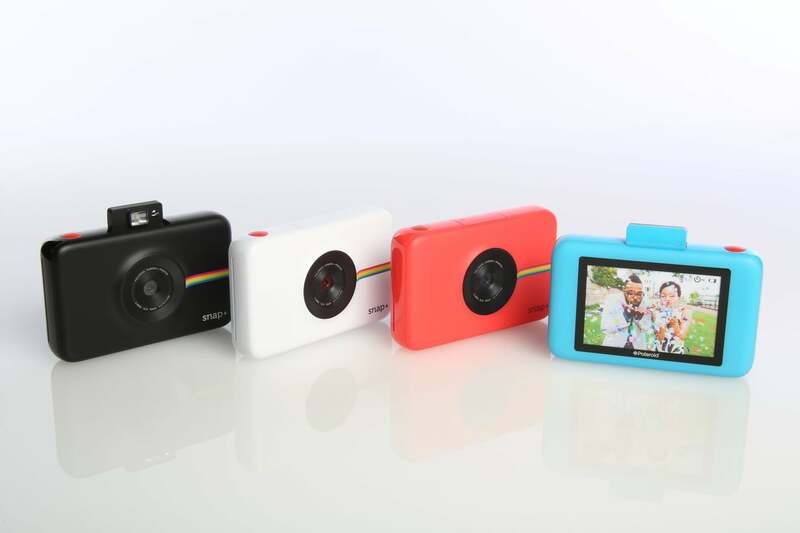 Polaroid’s latest camera combines that old school charm with the modern touches you’d expect. You can set the camera to print out each photo you take immediately, but I suspect most users will want to toggle that feature off so you can pick and choose which photos are worth printing. The Snap Touch camera has lots of filters, frames, text options, and stickers you can add to the photos before printing. You can combine several photos into a single frame if you wish. 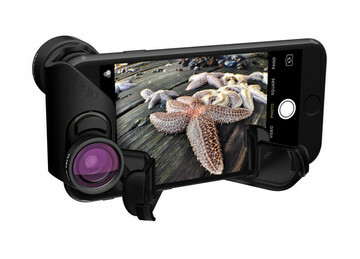 The most important feature is that you can connect the camera to your iPhone via Bluetooth, so that you’re not limited to printing only the photos you take with the Snap Touch camera. You can also print any photos you have on your iPhone. You do need to download that accompanying app, Polaroid Print App – ZIP, in order to print photos from your iPhone. The app also allows you to apply edits, filters, frames, stickers, and text to your iPhone photos before printing. 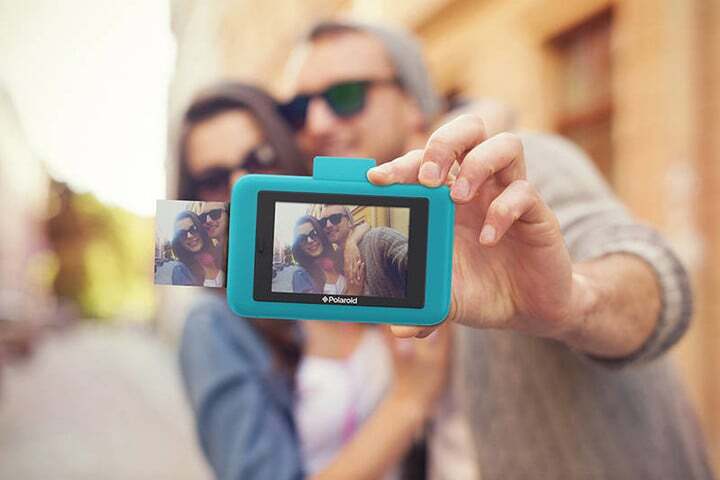 The Polaroid Snap Touch camera's 3.5" LCD screen is a touch screen. 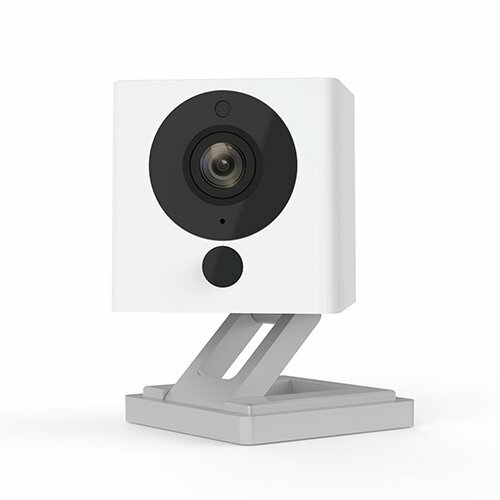 The 13 megapixel camera boasts a number of features, such as 10X Optical Zoom, 3.5″ LCD touchscreen, 1080p HD video, burst mode, timer, photo booth, split screen, and more. There is a slot to insert a micro SD card so you can save your creations. You can also share to social media, or print out the photos immediately. There is no ink; photos are printed on 2X3″ Zink Zero Ink paper. The backing of the prints is removable, turning your photo into a sticker. The camera can be attached to a tripod via a threaded hole in the bottom of the camera. Charge the built-in battery with the included USB cable. Initially, I had some trouble connecting the Snap Touch camera to my iPhone; the Bluetooth kept disconnecting. I contacted customer service, and they suggested that I delete and reinstall the app. This did the trick. I’m enjoying this camera. It’s not what I’d call a serious camera, even for a point and shoot. Despite its 13 megapixels, I didn’t manage to capture amazing photos with it. The prints themselves are not nearly as high quality as what you’d get from the drugstore. However, I don’t think they’re intended to be. They have that faded, retro look that the original Polaroid prints had. But for silly selfies and get-togethers with friends, this camera is a lot of fun. Like the original Polaroid cameras, printing photos this way can be prohibitively expensive. The camera comes with a single 10-pack of Zink Zero Ink paper, but after you use that up, replacement packs end up costing about $.50 per print. 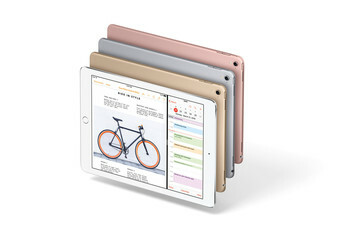 This is a fun luxury item, certainly not a necessity. You can take photos, add various effects, and print them on the spot. 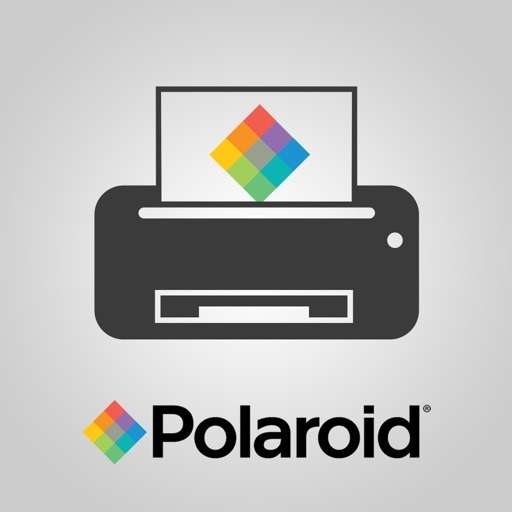 With the Polaroid Print App – ZIP, you can upload photos from your iPhone to the camera and print those as well. 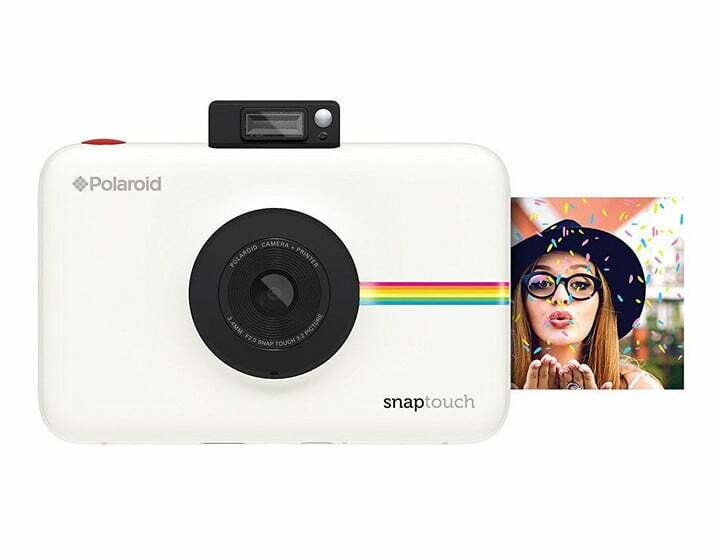 The Polaroid Snap Touch Instant Print Digital Camera With LCD Display is available on Amazon in black, white, red, pink, purple, and blue for $179.99.